This entry was posted in Art, Book Arts, Creativity, Imagination, Play and tagged art, artist's books, book arts, creativity, imagination, paste paper, play, San Francisco Bay Area, works on paper on September 16, 2016 by René Thomas. 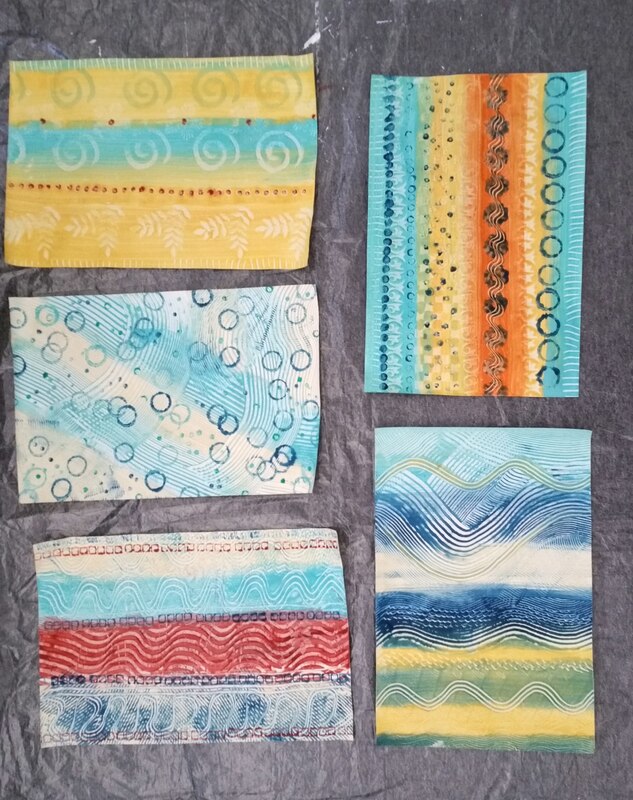 Recently a wonderful artist, Susan Johnson, whose studio is near mine, taught me how to make paste paper. This process, developed by bookbinders over 400 years ago , uses pigmented starch paste to make decorative paper. We used Elmer’s Art Paste, acrylic paints, and drawing paper. It’s a lot of fun and makes you feel like you’re 7 years old again! These make great covers and endpapers for handmade books, and are also wonderful for collage, wrapping paper, etc. Can’t wait to make more! This entry was posted in Art, Book Arts, Collage, Creativity, Play and tagged art, book arts, creativity, paste paper, play on July 24, 2015 by René Thomas.